When you are shipping personal items, you naturally want to know they are secure. You can insure them, but some things are simply irreplaceable. When you are researching international shipping companies, it is important to find out how secure your items will be with them, what sort of facilities they can offer and how closely they track your shipment. To understand what you need to ask of international shipping companies, it helps to know the whole process of shipping personal items. If you choose Spratt for shipping personal items, we can collect them from your door and bring them our facilities in Dublin. There we will weigh, measure, palletise and store them in our warehouse until their departure date. While they are in transit, we will update you about their location. We’ll let you know when they are ready to collect at your nearest international airport or port. One of the most important protections when you are shipping personal items is the security of the facility where they will wait to be shipped. Even if they are only there a few hours, that is one place where they can be vulnerable. 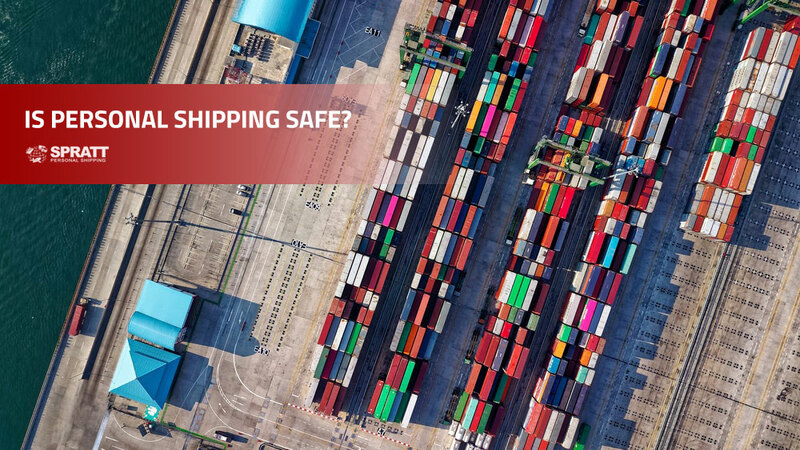 If you are shopping around and checking out international shipping companies, it is not the most obvious question, but it is important to ask what security measures they have in place. International shipping companies should take their responsibility to protect your personal belongings very seriously. Shipping personal items can be stressful if you have to worry about their security. We understand that at Spratt, and we do everything in our power to ensure the safety of your items. We take three vital steps to keep your shipment safe. 24 hour CCTV – Spratt Personal Shipping’s Dublin warehouse is constantly monitored by CCTV. It is on 24 hours a day, 365 days a year. Perimeter fence – Our facility is protected by a secure perimeter fence to ensure that only authorized people get close our warehouse. Track and trace – We keep you apprised of your item’s movements so you always know where they are and when they are expected to reach their destination. International shipping companies have a huge responsibility to their customers to protect their belongings from the moment they take possession of them until they reach their destination. One important way to pick the best carrier for your personal shipping items is to check out how much experience a company has and what people have to say about them. Spratt Personal Shipping has been operating for more than 20 years. We have the experience and knowledge to protect your belongings and get them safely from A to B, no matter where in the world B is. We’ve developed a global network of trusted partners, so you don’t have to worry. If you have any questions or concerns about how Spratt keeps your belongings safe, just get in touch and we’re happy to help you.